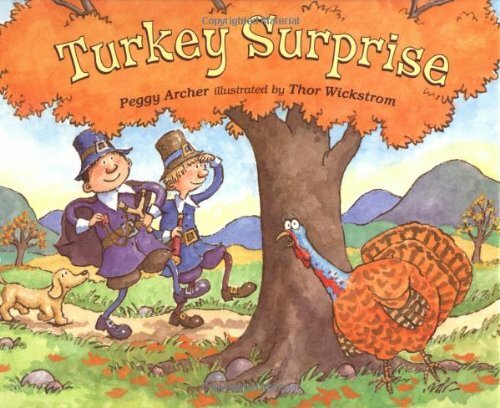 Two pilgrim brothers set out to find a turkey for Thanksgiving dinner. The big pilgrim is ready and raring to get one, but the little pilgrim has other ideas about what makes a good Thanksgiving, but can he convince his older brother? Meanwhile, the turkey, with the help of his animal friends, is doing his hilarious best to escape from becoming the main course! Told in a perfect read-aloud style, this story will have kids laughing and cheering, not to mention thinking about their own holiday traditions. A New York Times Bestseller.